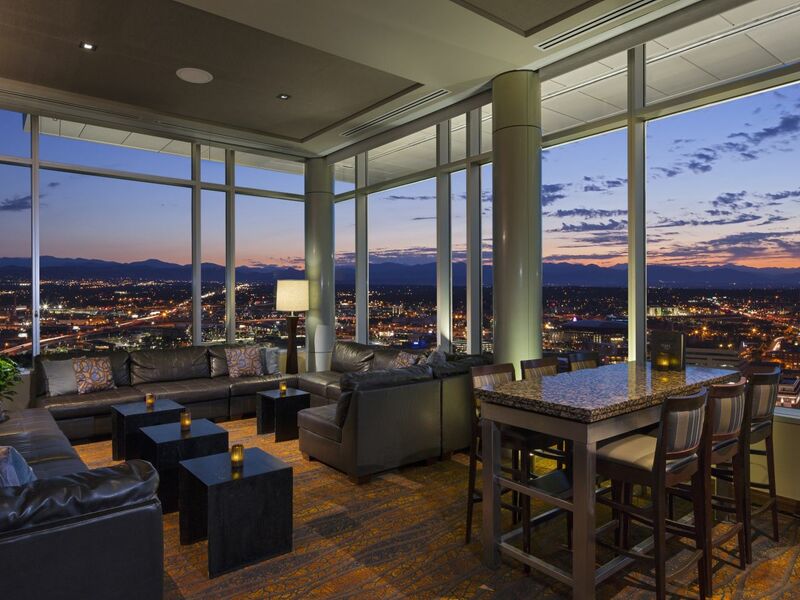 Dining gets elevated in the Mile-High City at our downtown Denver restaurants and bars. Experience the sustainable food and craft beer culture of Denver, the microbrewery capital of the world, at Former Saint Craft Kitchen and Taps, serving 16 local brews delivered through copper piping from a glass-enclosed keg room. Take in views of the Rockies while sipping on cocktails at the 27th-floor Peaks Lounge, grab a snack or beverage at Perks, or meet for casual meals and handcrafted coffee at the urbane Assembly Hall and Market, opening Spring 2019. Former Saint Craft Kitchen and Taps is now open from 6:00AM daily. Denver’s newest addition to the dining scene, Former Saint Craft Kitchen and Taps tempts with an adventuresome Colorado-inspired menu. Perfectly complemented with local craft beers and cocktails. Enjoy Life in the Spirit. Serving morning, noon, night and spirits. Discover why Perks is a favorite for hotel guests and locals alike. Stop in for a cup of aromatic Starbucks coffee to start the day or for a pick-me-up in between meetings. No time for a sit-down lunch? Grab one of the delicious, ready-made sandwiches or snacks to go. Our adjoining gift shop carries a variety of local foods and other items you may need to make your stay in Denver a pleasurable one. 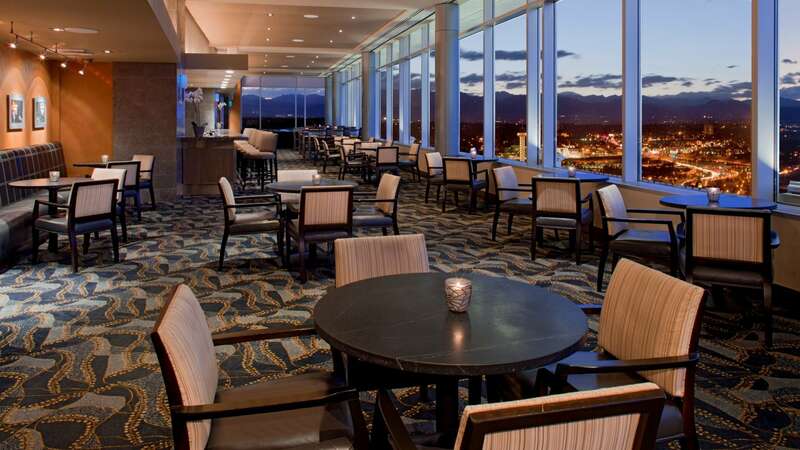 Enjoy breathtaking views of downtown Denver, Colorado and the surrounding Rocky Mountains from atop Hyatt Regency Denver at Peaks Lounge, voted one of Denver's Best Scenic Sixteen. 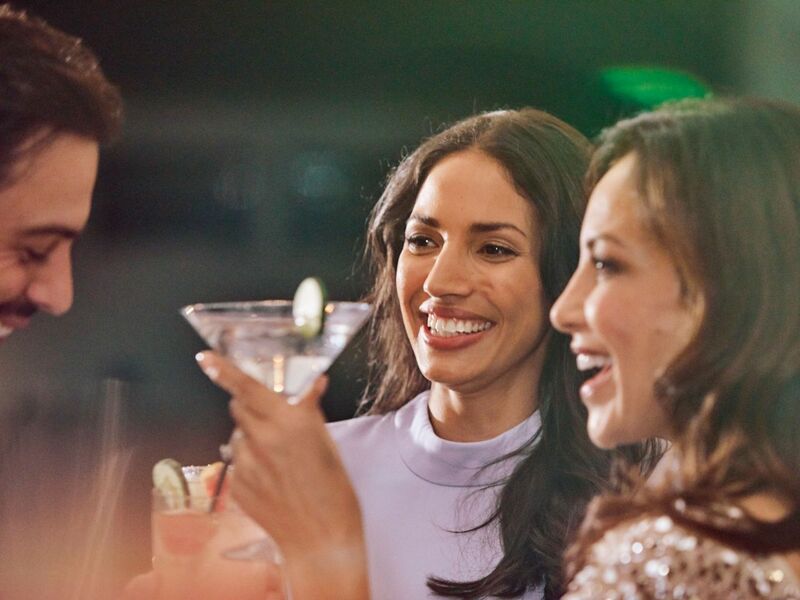 This delightful 27th floor bar provides the perfect backdrop for sophisticated gatherings and special occasions. 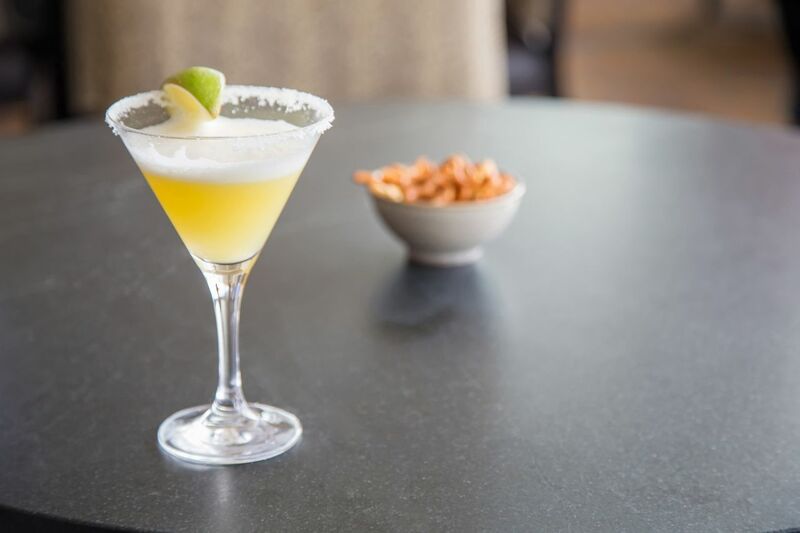 Enjoy an extensive selection of Colorado cocktails with local libations and organic juices and garnishes. Celebrate a job well done with a bottle of wine or champagne from our extensive collection. Top off an evening out with a succulent dessert and Irish Coffee. 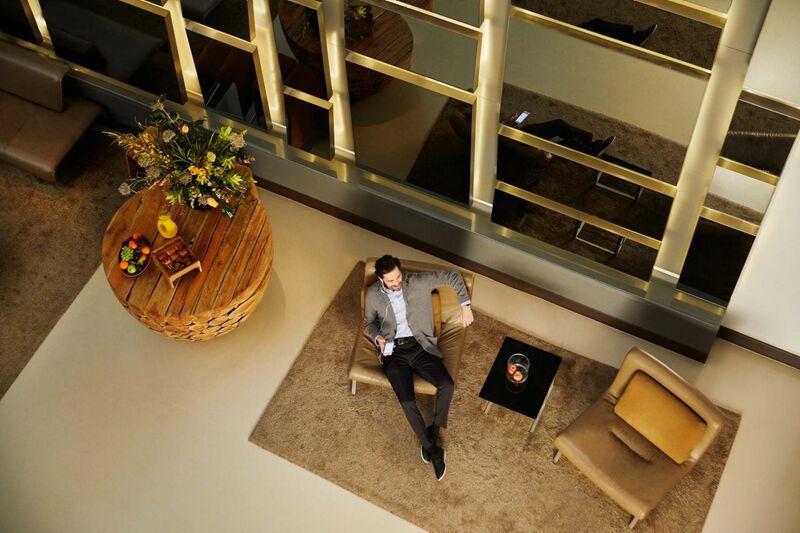 Whether you’re a guest of Hyatt Regency Denver or live in the Mile High City, you’ll find this unique spot the perfect place to sit back and enjoy the view. Friday and Saturday, 3:00 p.m. to 2:00 a.m.
*After 9:00 p.m., Peaks Lounge guests must be 21 years of age. In the evening, Peaks Lounge features open seating and does not accept reservations. For more information about availability and pricing for private events, contact the Events Department by calling (303) 486-4444 between the hours of 8:00am-5:00 pm weekdays. Urban, artful and modern, Assembly Hall is the new lobby marketplace; a social lounge perfect for grabbing a hand-crafted expresso, a quick afternoon bite or a glass of wine and appetizers with friends.